People in the north of England have been suffering from horrendous flooding this last few weeks with many in Yorkshire and Cumbria spending Christmas in leisure centres or with friends and relatives outside of flooded areas. And as if the flooding wasn't bad enough, David Cameron has decided to inflict himself on the poor people of York with empty promises of looking at things and doing things better. 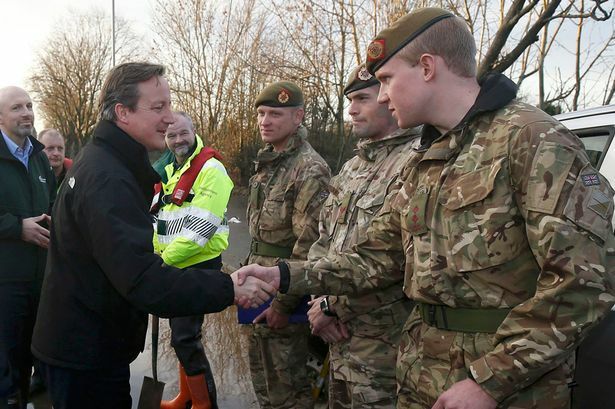 What Cameron fails to acknowledge, of course, is that there is nothing that he or the British government can do to prevent the flooding. Barriers aren't the answer, dredging is. For centuries we've dredged rivers and taken advantage of the reclaimed land for farming and building but that doesn't happen any more because the EU Water Framework Directive prohibits dredging of rivers and requires their "management" to reclaim historic flood plains. There is very little that the British government can do to prevent flooding while we remain members of the EU. Sorry chaps, we're not allowed to dredge the river so ... same time again next year, eh?